Beginning on August 1st, the Windham Public Library will once again have Saturday hours of operation. The new hours for the library will be Monday and Wednesday 10 a.m. to 7 p.m., Tuesday, Thursday and Friday 10 a.m. to 6 p.m., and Saturday 10 a.m. to 4 p.m. The library has been closed on Saturdays since September of 2014, said Library Director Jennifer Alvino. 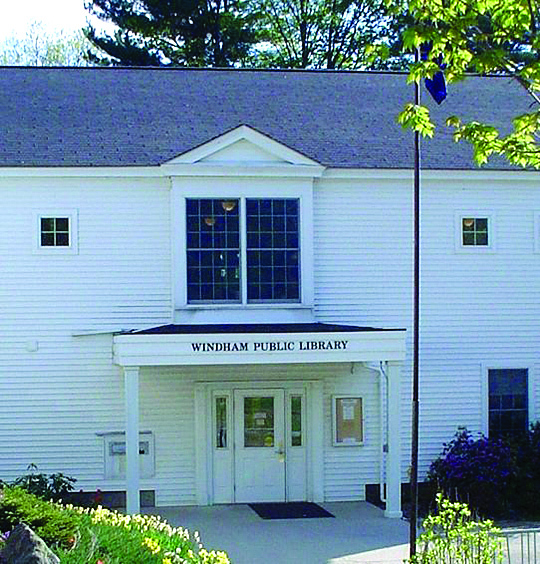 This year, in the town budget process, the library received additional funding for staffing to resume Saturday hours. Alvino said that the budget process was different this year, with Town Manager Tony Plante and the town councilors taking a forward looking view at the priorities, services and the future of the town. “It was a really positive budget process this year,” she said. Although patrons have adapted to the library being closed on Saturdays, Alvino said that for some, such as working families, it was much more difficult to find times to visit. “Saturday was their easy time,” she said. She has often heard visitors express the desire for Saturday hours to resume. The library closed on Saturdays for a variety of reasons, including staffing shortages. “A number of years ago, there were staff cut backs, but the number of hours the library was open was not adjusted,” said Alvino. That left the building open with only two people working at times, she said. Another factor in closing on Saturdays was a desire to add more services, such as Minerva, which was a positive addition to library services, but took a lot of hours to implement. Finally, when looking at the schedule at the time, Saturday was the quietest day, Alvino said. “We’re hoping that once we re-open a lot of people will visit then,” she said. The staff is excited and ready to welcome people on Saturdays. “Reducing the hours we were open wasn’t something we wanted to do, so we are glad we are going to be back open,” Alvino said.